Perhaps the greatest test of your insurance coverage comes when you need to file a claim. And that’s when we can help you the most. In addition to qualified agents who can help you through the claim process, our after-hour claim service directory provides you with access to claims assistance 24 hours a day. 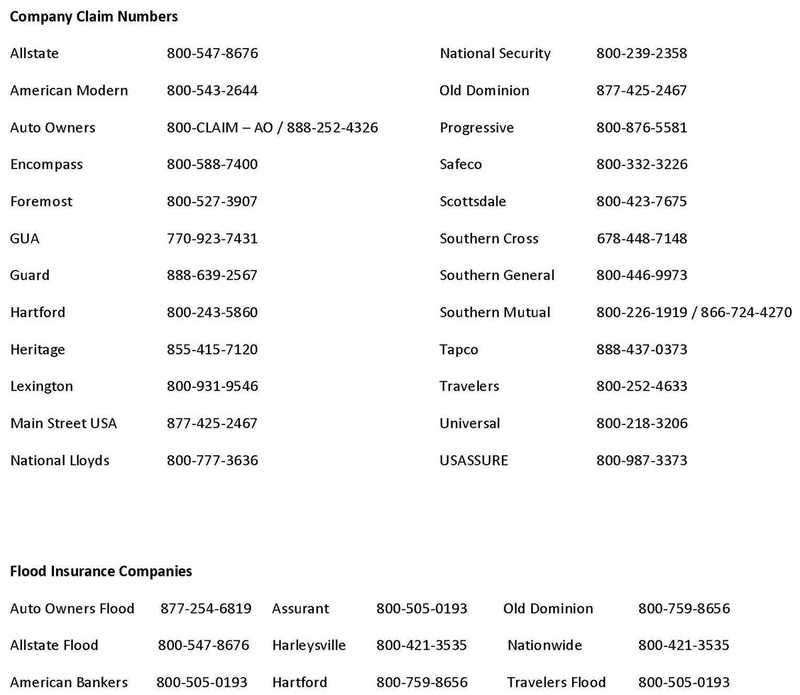 Select the claims number for your specific insurance provider from the list below. If your insurance company name is not listed, you may find the claims number on your insurance card or most recent policy statement. Remember to have your policy number ready and the date and time of your loss. Be prepared to give a brief description of what has occurred. When possible, it’s often helpful to jot down a short list including who, where, when and other pertinent details to help you when speaking to insurance claim representatives. Be sure to take necessary precautions to prevent any further damage to your property when possible.